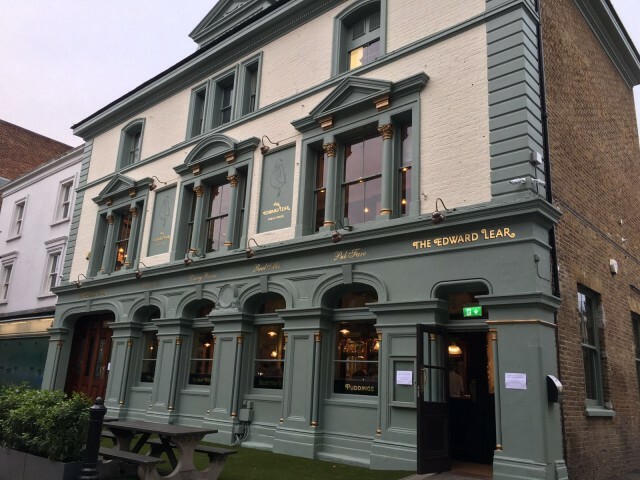 The first pub in the country named after Edward Lear opens today! The first pub in the country to be named after Edward Lear opens tonight! Their Grand Opening Party starts at 4pm, we wish the team a very successful evening! Do go and visit, they’re located at 471 Hollowat Road, London, N7 6LE. Make sure you have a look at the staircase with its unique use The Owl and the Pussycat poem.